Description The future of the letters rests on your hand! Choose your letters and rely on luck! 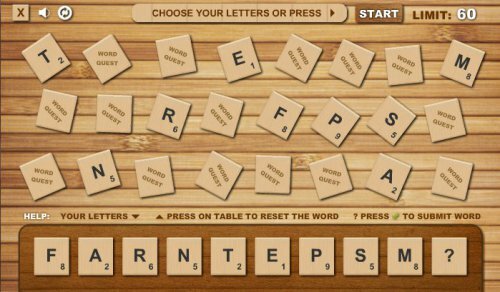 With letters at hand create as many as you can within 90 seconds! Each word created will increase a limit! The longer the words you give the higher your score will be! Go for highscores!